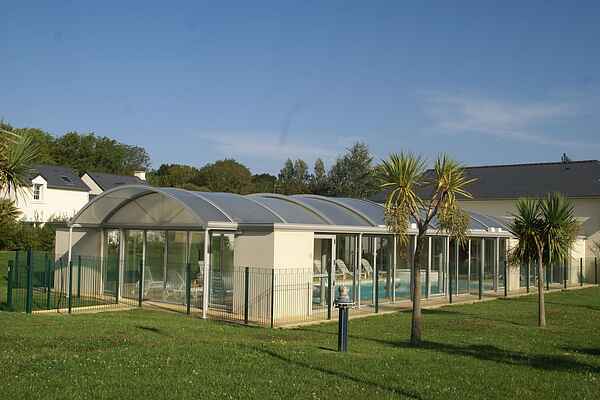 The Résidence Le Hameau De Peemor Pen consists of 94 linked Breton holiday homes spread over 7 traffic-free areas. There are 3 different types. For example, there are 4-person apartments (FR-29160-18) on one floor, with a bedroom and sleeping accommodation in the living room. The slightly larger 6-person apartments (FR-29160-19) with a sofa bed for 2 people in the living room and two bedrooms upstairs for the rest of the party. For a larger group there is the 8-person apartment (FR-29160-20) with as many as 3 bedrooms and also a sofa bed in the living room. The homes are comfortable and beautifully furnished, each with a separate patio and garden. You can use the washing machines, dryers and WiFi for a fee at the reception desk.